HomeFOOD & TREATSDog FoodNATURAL CHOICE Senior Wholesome Essentials Chicken, Whole Brown Rice and Oatmeal Formula, 30 lbs. 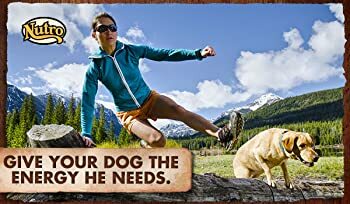 Give your dog the very best in natural nutrition. 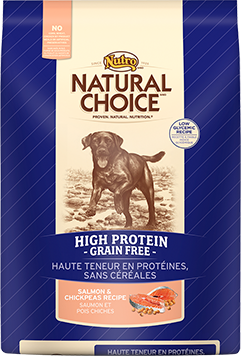 NATURAL CHOICE High Protein-Grain Free Dry Dog Food is formulated for active dogs, containing proteins and healthy carbohydrates for premium nutrition they will love. As a low glycemic recipe containing carbohydrates like chickpeas and split peas, this formula will help keep their energy levels steady all day long. 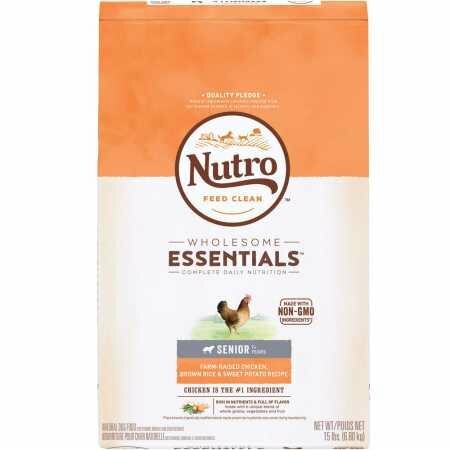 NATURAL CHOICE WHOLESOME ESSENTIALS dog food holds the key to a balanced diet: a dry food with the #1 ingredient of great tasting, farm-raised chicken and oatmeal for sensitive stomachs. Made with premium natural* ingredients, NATURAL CHOICE Canned Dog Food provides a delicious taste your dog will enjoy, and health benefits you can see. Utilizing a select number of ingredients, NATURAL CHOICE Limited Ingredient Diet Dry Dog Food is made with real lamb and formulated with fewer ingredients to minimize food sensitivities. NATURAL CHOICE Dog Biscuits come in a variety of special formulations which cater to dogs that may need treats that support specific health benefits. Older dogs can experience some of the same challenges as aging humans, including mobility issues, memory loss and sensitivity to certain foods. NATURAL CHOICE Wholesome Essentials Senior Dog Food with our SENIOR SUPPORT SYSTEM Formula helps replenish antioxidants older dogs need as they age. It also contains omega-3 fatty acids, ALA and DHA for brain and cellular health. Our premium senior dog food is made with real chicken, whole brown rice and oatmeal, so it is delicious and easy to digest. Plus, the added benefit of naturally sourced glucosamine and chondroitin will help keep their joints strong and healthy. Must be at least 18 & over to purchase. Items only ships within United States. Amazon.com Price: $34.99 $31.39 (as of 21/04/2019 18:19 PST- Details) & FREE Shipping. Amazon.com Price: $49.89 (as of 21/04/2019 18:19 PST- Details) & FREE Shipping. Amazon.com Price: $55.99 $35.14 (as of 21/04/2019 18:19 PST- Details) & FREE Shipping. Kyjen 2741 Cross Slider with Treat Ball Treat Toy Dog Toys Scent Puzzle Training Toy, Large, Yellow Amazon.com Price: $29.99 $14.27 (as of 21/04/2019 18:31 PST- Details) & FREE Shipping.